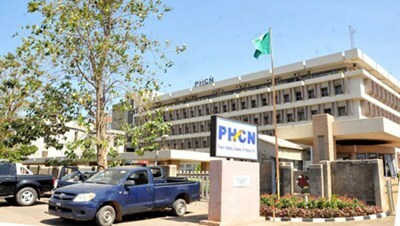 PERHAPS, the PHCN blew the trumpet of victory when it came to the decision of introducing prepaid meter in the nation. She must have felt quite innovative and a sense of achieving for solving a milestone problem the nation has grappled with and suffered in the power sector. The midwives, our leaders in this sector, felt that they have delivered the nation from the pangs of pitiable state of electricity. This is all well and good, as the saying goes. In corollary, since the advent of prepaid meter, many believe that the manifold problems evident before its arrival would be gone. Alas, many are yet to have such positive testimony to share about it. Like a general writ goes, ‘’everything that has an advantage has a disadvantage.’’ However, what is rightly held justifiable and expected by this is that the advantages should evidently outweigh the disadvantages. For me, I go with a proposition that every solution has an omission. Thus, I might as well be omitting something and creating some sort of loopholes in my attempt at solutions. I believe, therefore, that anyone’s idea or contribution to patch up such is the essence of continuous knowledge and discoveries. Curbing of the common practice of leaving tenants to incur debt of electricity bill. Cost consciousness in the usage of electricity as everyone is always made aware of his consumption; he uses it only for what is needful. There is, therefore, the consciousness to curb wastage. With effective management, power supply is in turn made available to other people demanding it. Thus, the principle of substractibility and excludability plays a vital role in effective public consumption of it. There is elimination of what has come to be generally known as crazy bills. On the contrary, the advent of prepaid meter in the country is greeted with a lot of complaints and dissatisfaction from the consumers. The complaint ranges from its high cost of purchase to high cost of service as well as malpractices of PHCN workers. The chain could go on. This problems sting the people; it is therefore necessary for one to make an attempt to relieve them of such social pain. One of the problems to quickly tackle is rigidity. What do I mean by rigidity? The rigidity of the prepaid meter is one that can be likened to a stopper valve in the effectiveness of this innovation supposedly geared towards a solution in the power sector. The traditional system which the prepaid meter works is rigid in the sense that a card is solely recognised by a particular meter which it is, from production, programmed with. Thus, the working system of the prepaid meter should be subject to scrutiny and review so as to get the best there-from. On the other hand, flexibility has always engendered a high level of effectiveness and efficiency as it often follows the path of reduced cost and increasing options or avenues for things getting done. Take for instance, the Multi Choice Company (providers of the DSTV) do not operate a one card-one machine system. This may have been borne out of experience in the effort to provide optimum delivery, satisfaction and effectiveness in their service. They probably have seen the inestimable obstructing power of rigidity. Take also the banking sector. The advent of ATM and POS devices has never been a one card- one machine system undoubtedly to avoid rigidity. Even when we had the NITEL Phones, the one-way usability of it cards was inapplicable. Hence, it is perhaps binding on the power sector to make amends to give customer satisfaction and a better living standard. We have a huge population which makes for diverse dynamics in daily pursuits by people trying to meet their needs. This diverse dynamics is one reason why flexibility is required and, indeed, indispensable in most systems. The point being made is that the one card-one one machine system should be modified. There should be flexibility in the production and programming of cards and machines such that a card is used on any meter device nationwide just like the ATMs and DSTV decoders. Secondly, options should be created so that units (could be a bundle from say 20 units, 40 units) to be inputted in any meter of choice by the right card holder can be viable. This is quite similar to one withdrawing, for example, N20,000 from his account with an ATM card. Thirdly, a transfer and sharing mechanism should be made possible. This can be made practicable in two ways one of which is directly. That is by giving a bundle (e.g. 20 units) to any meter you so desire through actual physical insertion of a card into such meter. The second way is the indirect method which is more or less an online or IT practice. That is transfer of unit is done through online like the online banking. I’m not unmindful of the fact that the foregoing proposals may give rise to quite a number of negative vices such as gross theft of meter cards, unjustified transfers and others, but these can be with security pins. The security pin culture can be such that only the right holder of the card can perform any successful operation with it just like the ATM cards. Effective pin programmes should be infused in the operation of this such that frauds through meter cards and device can be effectively dealt with online and otherwise. If these proposals are given a chance, I believe the best of the benefits inherent in flexibility would be released to us hassle-free. Thus effectiveness is given a better chance and a happier satisfied public is constituted and cultivated.